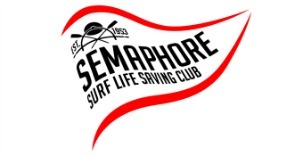 Semaphore SLSC has a long and enviable tradition in nurturing its youth to become surf life savers. The foundations of this are built on a junior activities program that all children are made to feel welcome and aimed towards the development of their social, sporting and “life” skills. The club runs a variety of important programs that members are encouraged to support, that are essential in providing a responsible duty of care to our young members. The overarching philosophy of the junior division at Semaphore has been to strive for excellence in the development of its youth. It is of utmost importance to the club as it moves forward, that we strive to promote an environment where all members and particularly the children are made to feel welcome and at home in a manner that our “Family Club” ethos promotes. Ian is our juniors coordinator and is always available on training and carnival days to answer your questions.